In recent years there have been numerous new products developed to make caring for your lawn easier for you. One of these new developments is the EZ-Flow Fertilizer Injector. The EZ-Flow Fertilizer Injector is an inline dispensing unit that attaches to your irrigation system and disperses the fertilizer through your sprinkler heads. The first step to getting the fertilizer injector is having your soil tested. We want to know what type of soil you have, your pH levels, organic matter, phosphorus and calcium levels, K to Mg ratio and sodium base. You will receive a lab report indicating levels of nutrients followed up by us supplying fertilizer. 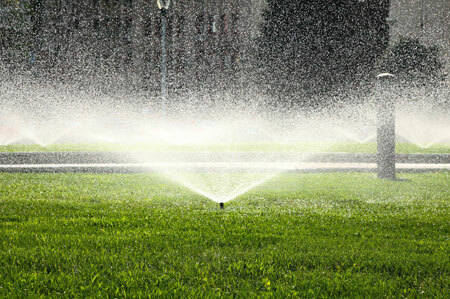 In a mere 5 minutes twice a year, you effortlessly spread nutrients to your lawn via your irrigation controller. © 2019 The rain man.com. All rights reserved.